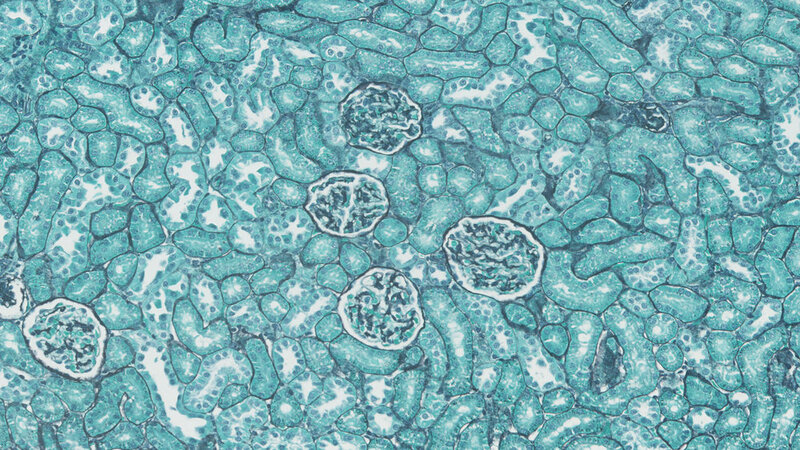 For over 30 years Propath has offered a full range of contract histology services – from routine to more complex techniques, across all species. 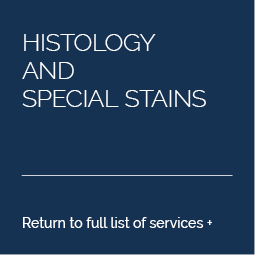 Services include tissue trimming, embedding, sectioning, H&E staining and special stains, all provided by highly trained and experienced technicians within a fully GLP and GCP compliant environment. We operate an integrated quality management system throughout our facility covering all aspects of our service, including handling of tissues, subject confidentiality, study documentation, Quality Assurance, staff training, equipment maintenance and use of validated SOPs. Our Study Directors and Principal Investigators have many years of conducting multi-site GLP studies and are familiar with all required regulatory documentation, including phase plans and study protocols. Propath is experienced with all species and permitted to work with human tissue specimens under license from the UK Human Tissue Authority. 01 Masson’s Trichrome stain demonstrating collagen in blue/green, muscle, red blood cells and fibrin in red nuclei in blue/black. 02 Picro Sirius Red special stain – collagen fibres are stained red on a pale-yellow background with nuclei staining brown/black.. Producing high quality, precise, consistent slides – in high throughput – is no small challenge. We go to great lengths to achieve this by focusing relentlessly on every small detail at every discrete stage of the histology process. And having a low threshold for rejection of slides that are not up to the Propath standard. Please contact us if you would like to receive samples of our slides. We would be delighted to discuss your specific histology requirements – please do contact us. Propath has many years of experience of conducting the histology phase of multi-site GLP studies. For such studies the company is able to offer its own experienced Principle Investigators to ensure GLP compliance for the phase performed at Propath. A phase report can be provided and a study-specific QA audit performed, as required. A statement of GLP compliance is provided for all studies. Sponsors are always welcome to visit Propath and conduct their own onsite QA assessment.